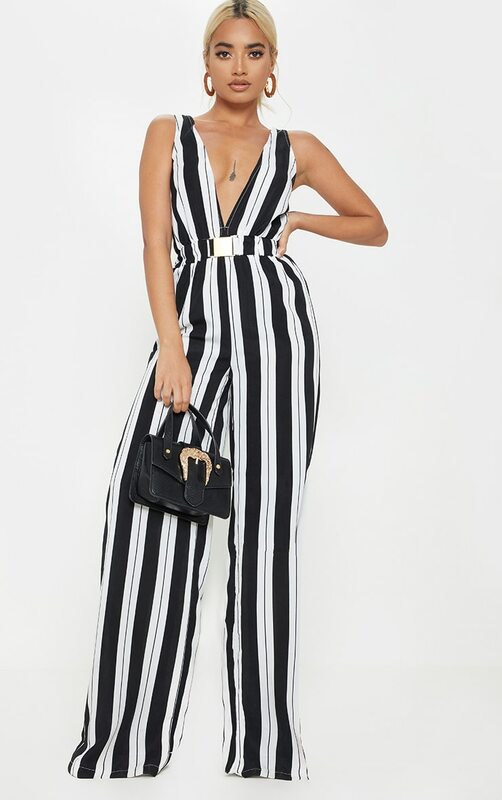 Look next level in this lit jumpsuit. 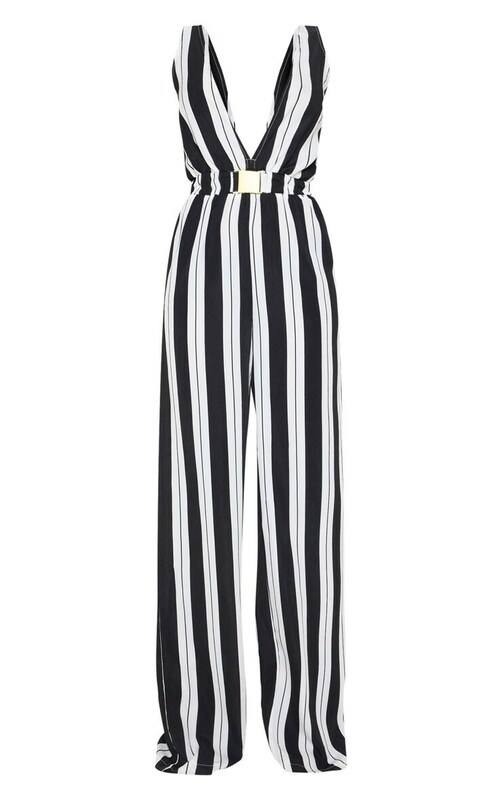 Featuring a monochrome striped print with a buckle belt detail and a plunging neckline. We love this teamed with a cute handbag and simple accessories for an understated style.